Is Islam compatible with Western values? With more than 1 billion adherents, Islam is the world's second-largest religion after Christianity. Within its mainstream traditions, Islam teaches piety, virtue and tolerance. Ever since the Sept. 11, 2001, terrorist attacks in the United States, however, many Americans have associated Islam with the fundamentalist groups that preach violence against the West and regard “moderate” Muslims as heretics. 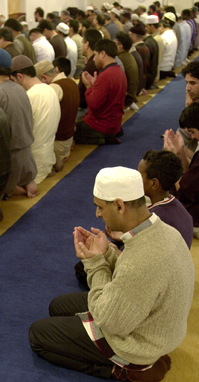 Mainstream Muslims and religious scholars say Islam is wrongly blamed for the violence and intolerance of a few. But some critics say Muslims have not done enough to oppose terrorism and violence. They also contend that Islam's emphasis on a strong relationship between religion and the state is at odds with Western views of secularism and pluralism. Some Muslims are calling for a more progressive form of Islam. But radical Islamist views are attracting a growing number of young Muslims in the Islamic world and in Europe.